Happy Early New Year! If you have time for one last indulgence before your new year’s diet, then I recommend these cinnamon rolls from Smitten Kitchen. Over the holiday, I also made blueberry scones, I reheated some frozen croissants, and I made a quick batch of waffles. I just threatened the kids that maybe Fancy Breakfast Friday is over and we’ll start something new in 2017, but I just commissioned Luke to make a logo for me, so maybe I’ll keep it up. I did get a waffle maker and a breakfast cookbook for Christmas. This entry was posted in food and tagged breakfast, cinnamon roll on December 30, 2016 by metamegan. This later-in-the-morning blog post is brought to you courtesy of the first day of summer vacation! But this post is about what we had for breakfast last Friday, and it was a delicious pan of cinnamon rolls. I had to lead with the baseball picture, because the cinnamon rolls were devoured before I had a chance to take a lovely picture under better light. And because last weekend included 9 baseball games. I’m almost recovered, a week later. For this recipe, I used this smitten kitchen recipe. I did the first rise on the counter and the second rise in the fridge. I also used the same glaze I used for the donut holes a few weeks ago. (1/4 cup melted butter, 1.5 cups powdered sugar, 1 tablespoon milk, in teaspoon vanilla.) After it was sort of too late, I read in the recipe a link to a more tender recipe that could be adopted for cinnamon rolls. I decided there was no harm in making the un-tender one and then, later making the newer recipe. I also wondered, “Do my children have a sophisticated enough palate to notice when a pastry could be more tender?” The answer to that is yes. Luke said, “The center is really good, but the outside seems a little hard. Poor boy. I’ve created a pastry aficionado. Of course, this recipe made two pans, and the second pan was very hard the next day. I left them un-iced and I warmed and iced them the second day. Still delish. They basically tasted like a pastry you’d get in a coffee shop in Boulder. I bet I could have kept them uncooked in the fridge an extra day, but we’ll never know. And now, on to summer. I wonder what breakfasts I’ll make. I am feeling a conflict between having the time to make something fancier and feeling pretty lazy about the whole thing. This entry was posted in food and tagged cinnamon roll on May 27, 2016 by metamegan. I have to say I nailed the spinach and zucchini fritatta that I made for Fancy Breakfast Friday. 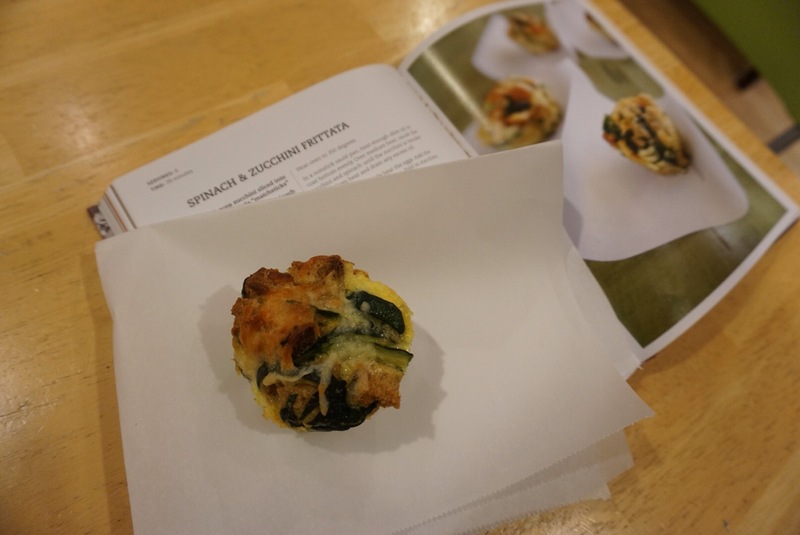 These are from the book Feed Zone Portables: A Cookbook of on the Go Food for Athletes. 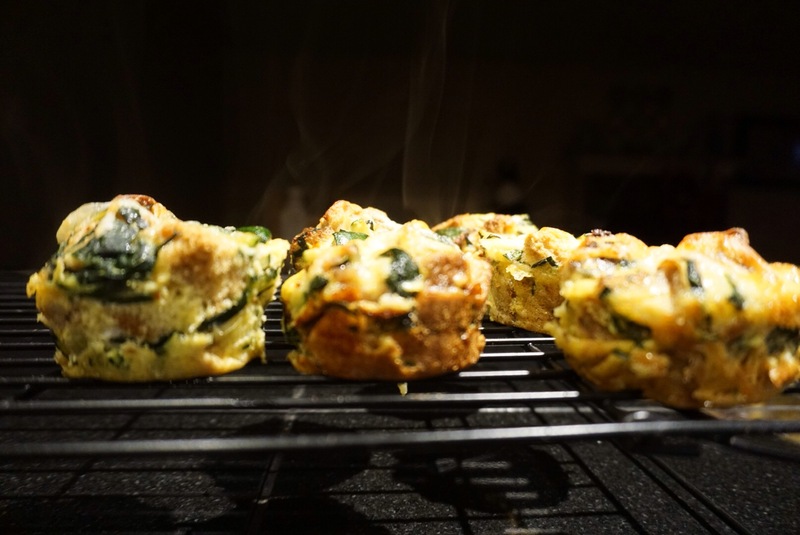 The recipe warns that they may be hard to get out of the muffin tins, which was a massive understatement. These were good, according to everyone but Jack, but if I need an on the go fritatta, next time I would make one in the cast iron skillet and then cut them into smaller slices. Because that muffin tin wasn’t going to clean itself. But look how yummy they looked – hot out of the oven. I forgot that Jack hates fritatta, but fortunately I also made pumpkin rolls. Luke brought the recipe home from school because someone made them for their how-to speech. The recipe calls for half a cup of pumpkin which I happened to have. These were delish. 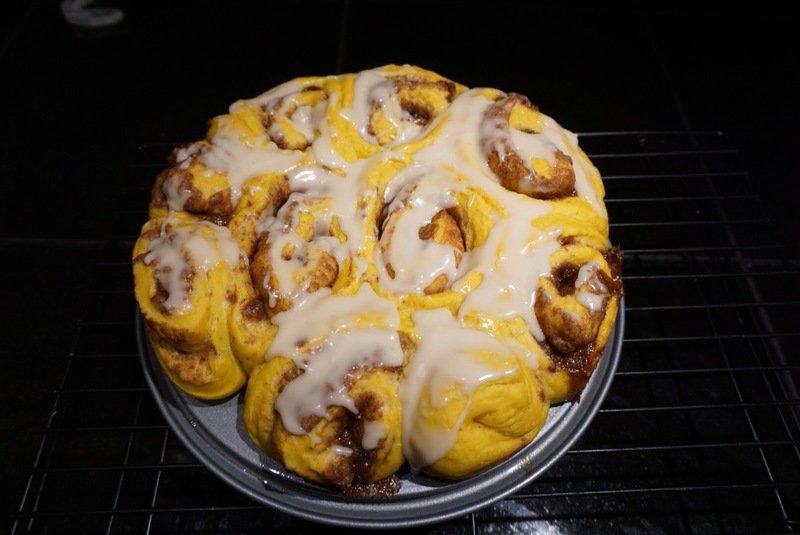 This entry was posted in food and tagged breakfast, cinnamon roll, frittata, pumpkin on December 18, 2015 by metamegan.